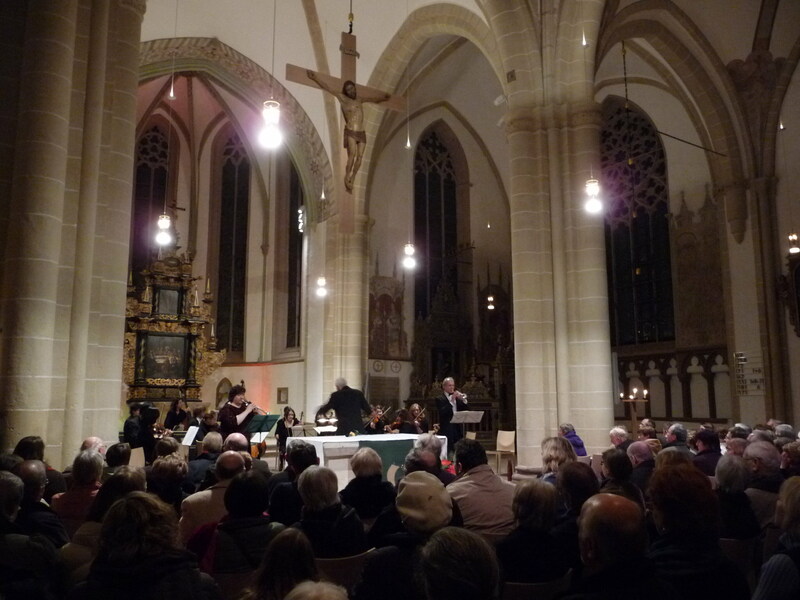 Last night we had our first performance in the beautiful church of St. Nicolai in Lemgo. The church was packed and we had a very appreciative audience. The staff at the church could not have been more kind and helpful. It was a great start to the concert tour. I especially want to commend the Detmold Hochschule student soloists for the Brandenburg: Jun (violin), Dante (flute), and Ayumi (oboe). Sorry, but I don’t know their last names! The continuo cellist was really outstanding, too. Renovated just last year, the St. Nicolaikirche is the oldest church in Lemgo (founded in the 13th century). It has terrific acoustics and a great deal of fine artwork. I wasn’t able to take very many pictures (certainly not during the concert! 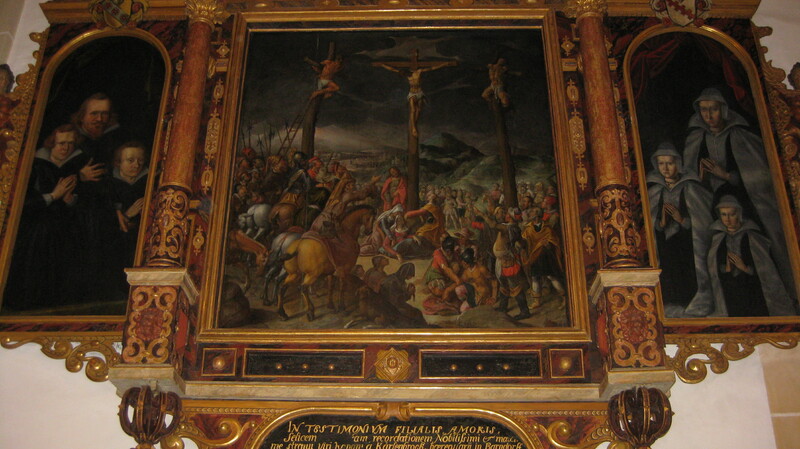 ), but here is at least one glimpse inside the church (photo on the right). The entire town of Lemgo is filled with historic buildings and is extremely picturesque, especially in the snow. Speaking of snow, it’s coming down like crazy outside my hotel window this morning as I write this. They are calling for about 20 cm (approx. 8 inches) of snow today and it is fairly windy, too. Tomorrow morning I will attend Mass at the Paderborn Cathedral (Dom) and we’ll perform another concert tomorrow evening at the Zionskirche in Bielefeld Bethel. 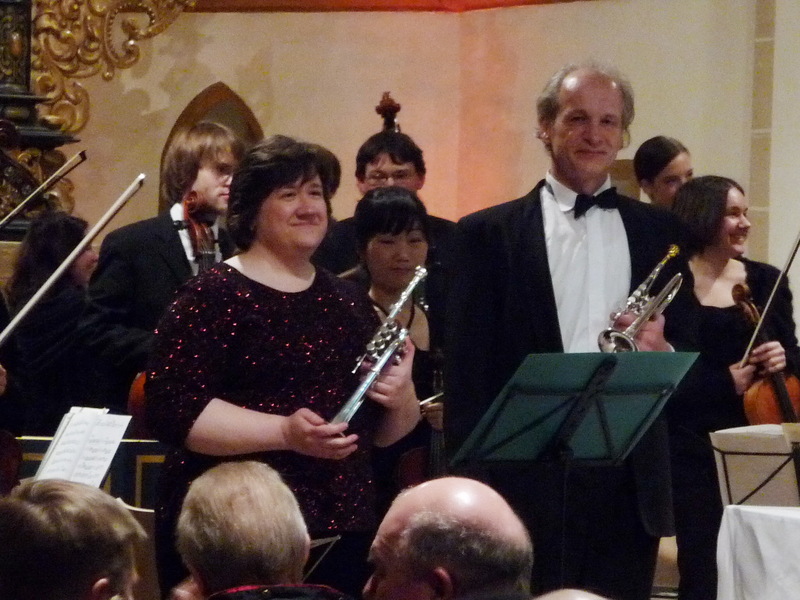 UPDATE: Courtesy of Pastor Rolf-Joachim Krohn-Grimberghe from St. Nicolai, I now have some photos from last night’s concert. It’s not possible for me to post too many photos here, but these two will give you an idea of what the concert was like. Vielen dank, Pfarre Krohn-Grimberghe! 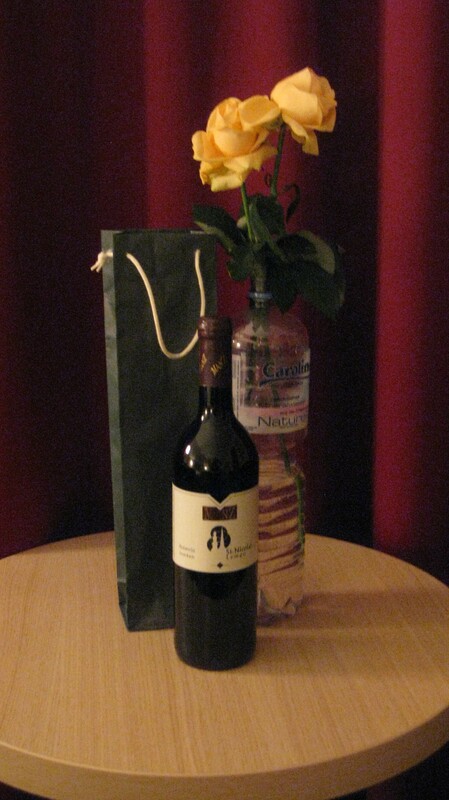 St. Nicolai in Lemgo presented all of the soloists with roses and a bottle of wine (their own label, too) after the concert. What hospitality! We heard from Kurt how wonderful the first concert was. Enjoyed watching the performances on Utube. I wonder what it must have been like to have J S Bach watching over (sort of). He should have been proud! Sorry our rehearsal got cut short last night at the FSO. Welcome back. Thanks, Victor! It’s too bad about the sleet last night, but the weather should be much better next week. Thanks again for all of your kind comments and support. See you next week!